Angela Balcita had a plan. The Baltimore-based magazine editor and survivor of two kidney transplants (first from her brother, shortly after her diagnosis with kidney disease at 18; the other from her husband, Chris) had sold her first memoir, Moonface, under the assumption that it would end with the successful transplant of Chris’s kidney. Their love story–boy meets girl; boy gives girl his kidney when her first transplant fails–would be at the heart of Moonface, titled after Chris’s good-natured nickname for her sometimes-puffy skin, a side effect of her disease. Moonface would wrap up neatly with Balcita soldiering on, Chris’s kidney keeping her healthy and alive. But halfway through the writing process, Balcita unexpectedly became pregnant, a huge risk for someone with her medical complications. In the process of delivering her daughter Nico, she lost Chris’s kidney, throwing her back into a terrifying medical nightmare she thought she’d safely left behind, and changing her plan–both for her life, and for the Moonface manuscript–completely. The result is a testament to Balcita’s perseverance and flexibility as a writer. Moonface follows Balcita’s struggle with her disease and operations (she’s currently living with her third transplanted kidney), through the lens of her relationship with Chris, chronicling their romance, their decision to undergo their joint surgeries, and their high-risk pregnancy. There’s no leading the reader on a dour march through a scary medical history; Moonface is sweetly endearing and funny, a love letter to her husband and baby, a lighthearted look at the power of a couple’s love and commitment. From her home in Baltimore, where Balcita was nursing her daughter through a cold, she spoke to SMITH about changing expectations, the realization that memoir is only “a moment in time,” and why a recent New York Times piece infuriated her. Did the process of writing Moonface start with your 2006 Modern Love column? It actually started in grad school, when I was getting my MFA in nonfiction at Iowa. I’d been writing about multicultural issues and my family’s move to the U.S.; I avoided the transplant completely. I just wasn’t ready. I felt like the medical stuff was separate from my writing life: I’d deal with it at doctor’s appointments, and when I took my blood pressure, and then I’d go and write–that was my career and passion. But everyone in my workshop group was like, “Why aren’t you writing about your transplant? That’s your story.” It was hard at first to take this ugly medical side and make it into something lyrical and nice to read, but that became my thesis. I made it into a Modern Love column and an agent picked it up, and we sold it to Harper on proposal. So they wanted you to write your life in real time, almost. How long was the manuscript on hold? Did you question whether you could come back to it in the midst of the medical trauma? I was just getting used to being back on dialysis and having a newborn, but I knew the clock was ticking. I did it really quickly and sent it in; I wasn’t happy with it, but I just wanted things to calm down. When my editor wrote back that I’d have to add Nico in–I probably wasn’t ready to do that, but I pushed and pushed myself. It was difficult and tiring. A couple of times I was ready to give up. My husband said, “You don’t have to finish the book; you just have to get better. That’s the important part.” My situation at that point was so desperate: I was bummed out that his kidney didn’t work; things felt like they were failing me. So I needed to finish the book. It was the one thing I had control over. I could tell the story I wanted. That’s what got me though. Did you wish you had five years to wait and get some perspective? 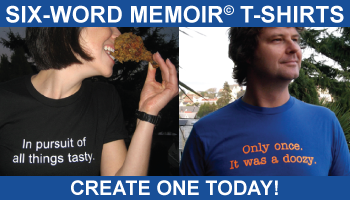 Most memoirs are written after the fact, of course–after a period of reflection and distance. Yes. I was thinking, maybe I can have them defer or delay the launch date even further. But as I was getting near the end of the book, I realized that I needed to write. It’s like how people might go through therapy at a time like that: they need to talk it out and work through it. This was my way of working through it. So you’d planned for Moonface to end with your husband successfully giving you his kidney–but that’s not how life happened. Were you concerned about wrapping up the book without knowing how successful your third transplant might be? I was stressing: Is it going to be truth if I end here? And a writer friend said to me, “You have to think of memoir as a moment in time.” That helped me look at it not in terms of endings and beginnings, but being satisfied with what I’d written in the moment. You come at your disease and these three kidney transplants–a terrifying and painful medical trauma–through the lens of the love you share with your husband, Chris (“Charlie” in Moonface). Have you always approached writing about your disease in this way? As soon as she said that, it clicked. I really wrote it for the people closest to me. It’s a love letter to Chris. It’s a birth story to Nico. It’s a thank you letter to my brother. It’s my way of saying that I’m all right. We read memoirs because we assume memoirists have some wisdom to share with us; they’ve gone through something. I’d agree with that, but I had to get wise really fast. I had to figure out how I was going to take care of this baby, get healthy, and finish the story that I wanted to tell. And in writing it, I think I figured that out. Moonface doesn’t really air any dirty laundry, unlike a lot of memoirs: your husband’s character is a dream partner. How does he feel about that? He’s a modest fellow. He likes to live a quiet life in our little house. This is all new for him, but he was okay with it. I’m just giving readers a slice of him. I think that’s why it’s appropriate that he’s “Charlie” in Moonface and not Chris. I get the full Chris; the reader gets “Charlie,” a sliver of his character. What did you leave out? There were many more scary medical scenes that I felt would’ve been gratuitous and would’ve made it more into a medical story than a love story. When you have a story this big, that consumes your entire life, you have to figure out what part of it you have to write about. I didn’t strictly want it to be a kidney memoir; it’s really about a relationship and how two people got through something that was way bigger than they were. So I decided to focus on that love and commitment. I could have unloaded and talked about medical statistics and every procedure I went through, but I wanted to keep it a story about love. Memoir as a genre is often under attack; Neil Genzlinger’s recent Sunday New York Times Book Review essay ["The Problem with Memoirs"] took on memoirists who haven’t “earned the right” to write. Did you read it? Yes. He assumes that every piece of fiction is a work of genius, and it’s not. I don’t understand why he attacked the genre. It’s like attacking romance novels: I don’t read romance novels, but I’m not going to bust on them because there’s a market out there. The biggest problem with that piece was when he said, “If you write a memoir, don’t think about publishing it. If you’ve written a memoir, delete it.” He’s telling a whole generation of aspiring writers: Don’t examine your world, don’t examine your place in the world, don’t examine how you relate to others and how you get through tragedy. Just sit back and read Jonathan Franzen. Who says, “Don’t write?” What kind of writer says don’t write? There’s often this assumption that memoirists are narcissistic and self-involved–or that you have to have a really good reason to write a memoir. Clearly, not everyone has kidney transplants and receives a kidney from their spouse. But I like to think that my memoir is beyond just the tragedy of the experience; I like to think that it’s about sustaining a marriage. Even so, self-examination is vital to understanding culture and how we live and how we relate to other people. When I teach, I tell my students sometimes that personally, I think writing memoir and writing nonfiction is harder than writing fiction. In fiction, you create characters and circumstances and ways characters are going to deal with these circumstances; in memoir, you experience it first. You live your life; something happens, and you have to attach meaning and significance to those moments. You’re trying to figure out what happened and how you’re going to get through it. It’s a whole different way of thinking. Finally, Angela Balcita, what’s your Six-Word Memoir? READ Balcita’s 2006 Modern Love column. I am a huge fan of memoirs, in fact, I am just finishing up a great one titled, “From Immigrant Housemaid to Harvard Ph.D.” written by Jin Kyu Robertson Ph.D.- a truly inspiring story. Can’t wait to check out Moonface. Just finished reading this book. I was diagnosed with CKD 6 months ago and am dealing with all the side effects of Prednisone. I am responding favorably to the drug and hopefully will not need a transplant but your story was encouraging and enlightening. Thank you for putting into words the feelings and emotions in dealing with CKD. I am sharing this book with my family so they better understand what I am going through.